Meshing the western and horror genres into an atmospheric slow-burn creepfest, The Wind effectively deals with very pressing real-life issues told through a supernatural tale that will stir the mind and soul. Imagine all those years ago to when the first pilgrims, many of them migrants, travelled far and wide to find their own slice of the American dream: land, hope, opportunity. Now think of the hardship to not only reach their destination, but to keep that dream alive and prosperous. The struggle against the elements, the predators, and perhaps most deadly of all, the isolation. Now thrown a demon into the equation. That is the set-up for The Wind, a new psychological horror story from director Emma Tammi. 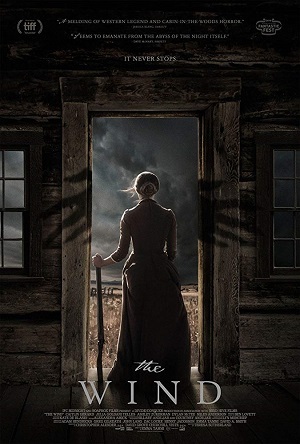 An incredibly tense and depth filled watch, The Wind stars Caitlin Gerard as Lizzy Macklin, a plains-woman who along with her husband Isaac (Ashley Zuckerman) have created a home for themselves in the harsh surroundings of the western frontier. When new neighbours Gideon (Dylan McTee) and Emma (Julia Goldani Telles) settle over the horizon, Lizzy begins to experience a dread filled presence that leads to an unspeakable tragedy. With the first image of The Wind that of a shell-shocked Lizzy covered in blood, Tammi wastes no time taking us on a deep dive into this psychological and visceral horror experience. From all angles comes all matter of freaky occurrence both natural and supernatural. Lizzy’s descent into maddening uncertainty is indeed gradual and methodical, yet the occurrences that drive her there are consistent and frightening, including one howler of a jump-scare that will have many clinging to walls. 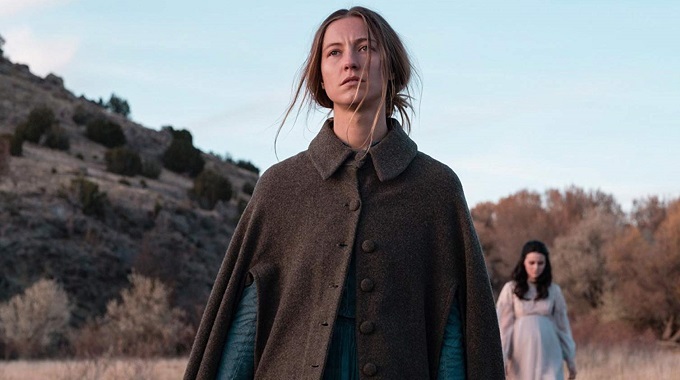 Central to the success of The Wind is the performance from Caitlin Gerard, who portrays the physical and mental torment perpetrated on Lizzy with stunning, chilling authenticity. Women in horror have long been the victims of all matter of demonic forces (The Exorcist, The Entity, etc) and The Wind lives up to that tradition and the great performances found within those movies. Thankfully it is done without exploitative means, with Lizzy’s story one that pulsates with issues that are very real and very relevant, even when it deals with the fantastical. 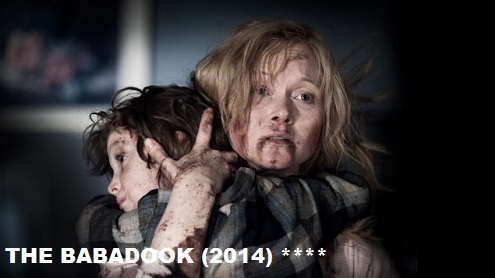 It is a mesh of genres, style, and narrative that Tammi weaves together into a genuinely creepy experience of a film. The Wind, to put it plainly, will send chills down your spine.